This is some breaking news coming in! 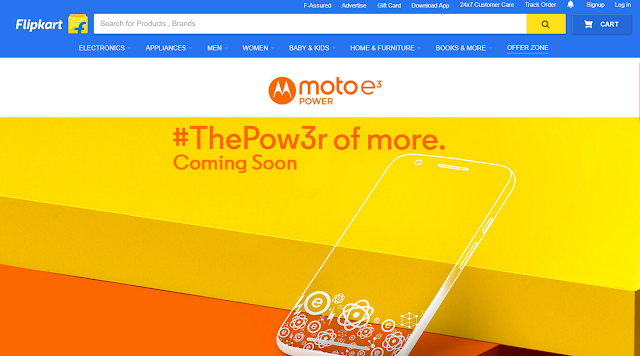 The new Motorola Moto E3 Power will be a Flipkart Exclusive in India. 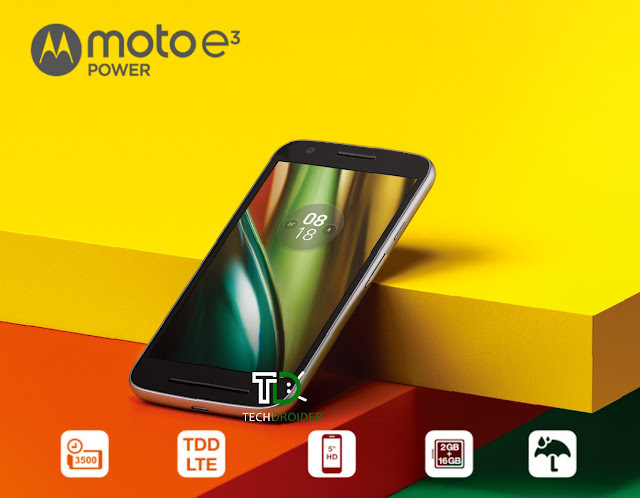 Expected to be launched next Monday, the new Moto E3 Power is the newest addition to the Motorola portfolio. The E3 comes with a 5" HD screen, a quad-core MediaTek processor, an 8MP camera and a huge removable battery. Motorola India has just tweeted about it being a FlipKart Exclusive, meaning that the Moto G series will be the Amazon exclusive while Flipkart takes the Moto E series. #ThePow3r to enjoy bigger & brighter entertainment like never before. The new E3 series will be released next Monday at 23:59 according to the Flipkart landing page, so get ready Indian fans!